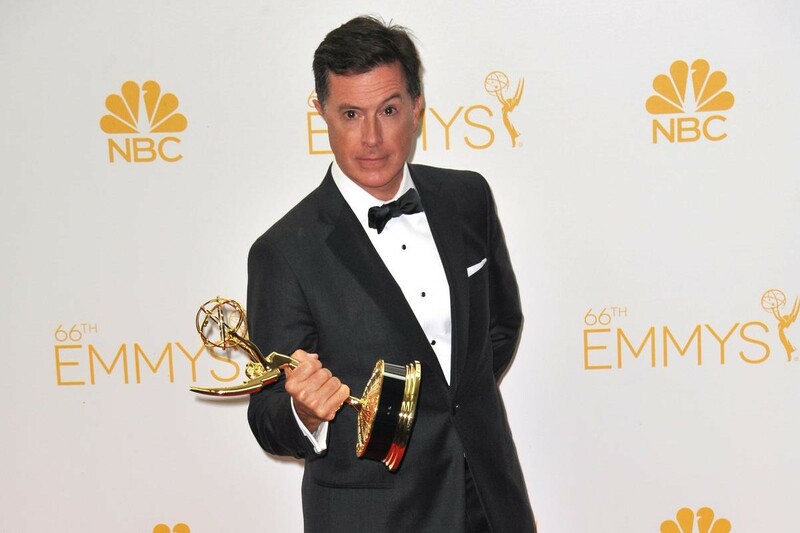 When comedian and late-night television host Stephen Colbert was 10 years old, he was blindsided by loss. His father and two brothers, Peter and Paul, the siblings closest to Colbert in age, were killed when Eastern Air Lines Flight 212 crashed into a cornfield. Colbert was the youngest of 11 kids; many of his elder siblings were off to school or had places of their own by the time of the accident, which left Colbert and his mother, Lorna, to get through the aftermath of the loss together. Colbert did his best to support his mom in turn. Having grown up in a house overflowing with siblings, a chapter in which he and his mother lived alone was a change. “I did my best to cheer my mom up,” he’s quoted as saying in a 2013 HuffPost Celebrity blog entry. “I grew up in a humorocracy where the funniest person in the room is king,” he said. And so he drew on those talents to cheer his mom. Colbert’s parents had always encouraged their kids to find something they loved to do. “They hoped that I would find a direction,” he told HuffPost. “They were very supportive of anything I eventually decided to try to do as long as it could pay the rent. . . . We were not people of means, but the rule in our house was: Never refuse a legitimate adventure.” When he found his calling, it was electric. In Judd Apatow’s book Sick in the Head (Random House, 2015), Colbert describes his discovery of theater in college. He’d transferred to Northwestern University’s theater program: “I was doing Stanislavsky and Meisner, and I was sharing my pain with everyone around me,” he said. Then he met Del Close, the storied improv teacher and mentor. “I went, ‘I don’t know what this is, but I have to do it,’” Colbert is quoted in GQ. “I have to get up onstage and perform extemporaneously with other people.” Eventually part of the Second City class that included talents Amy Sedaris and Chris Farley, Colbert went on to work on the comedy series Strangers with Candy and the parody news series The Daily Show. He hosted his own television show, The Colbert Report, and in September 2015 succeeded David Letterman as host of The Late Show. Colbert’s comedy over the years has undeniably been informed by the early tragedy. “You gotta learn to love the bomb,” Colbert told GQ, quoting longtime Second City director Jeff Michalski, who instructed Colbert and his fellow actors that they had to embrace the discomfort of failure in order to punch through fear. “Boy, did I have a bomb when I was 10,” Colbert said. “That was quite an explosion. And I learned to love it. . . . That might be why you don’t see me as someone angry and working out my demons onstage. It’s that I love the thing that I most wish had not happened.” The gratitude and acceptance Colbert discovered alongside his mother is, as he says, “not the same thing as wanting [the crash] to have happened.” But, as Colbert concludes, “[Y]ou can’t change everything about the world.” As he sees it, it’s our choice whether to love or hate the different chapters in our lives—even those parts that bring us pain. Check out Colbert’s Late Show online to get a glimpse of the man in action.